I’m calling this the Best Kale Salad with clear knowledge that everyone already has their own favorite best kale salad, including me. Stay humble… If this is your 2nd Best Kale Salad, I’m totally okay with that. 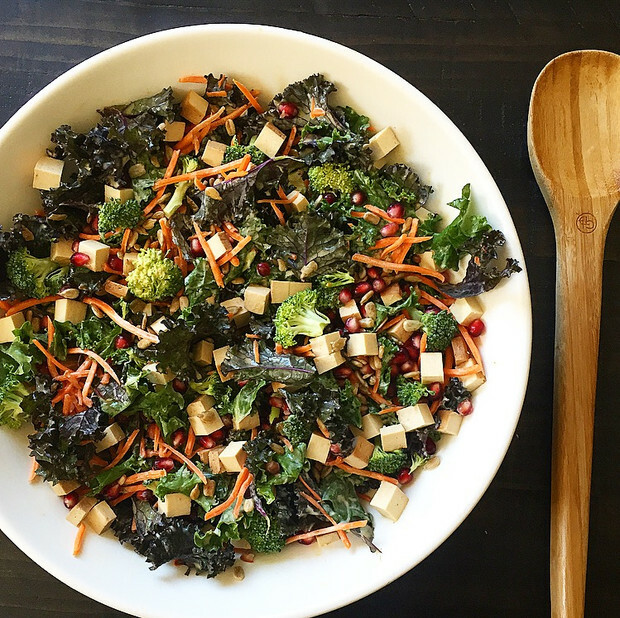 You can check out my favorite Kale Salad by Tedi Sarah, here. It’s addicting, I’m warning you. And if I had avocados in the house yesterday, this salad would have never been born. 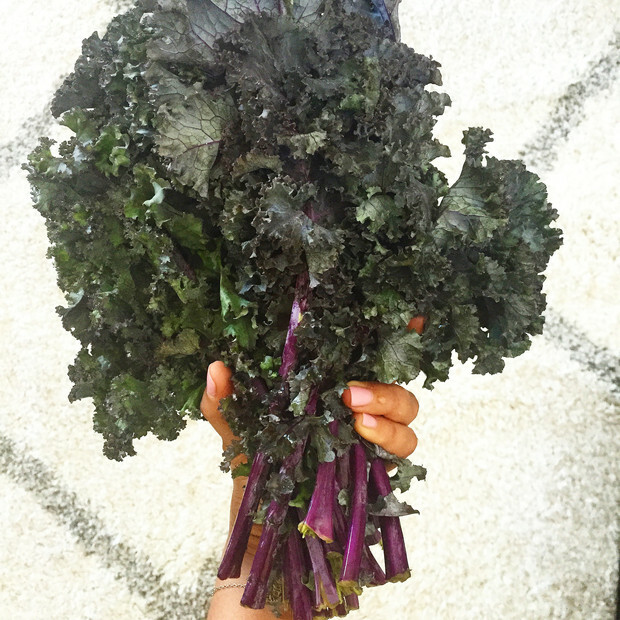 Luckily, I was out of avocados and left with only a huge bundle of the most beautiful Purple Kale that I just had to use. 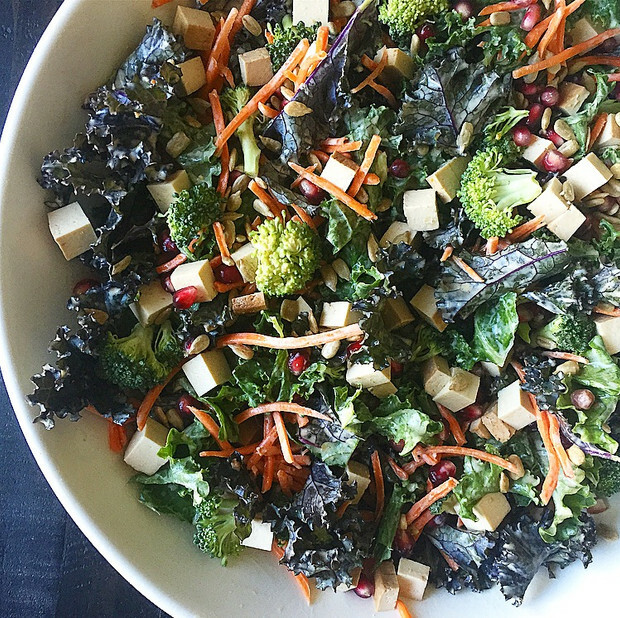 Thus, this BEST KALE SALAD was created. 1. Rip the kale leaves into bite size pieces and throw in a bowl. 2. Add dressing and toss with your hands massaging it into your kale to tenderize it a little bit. 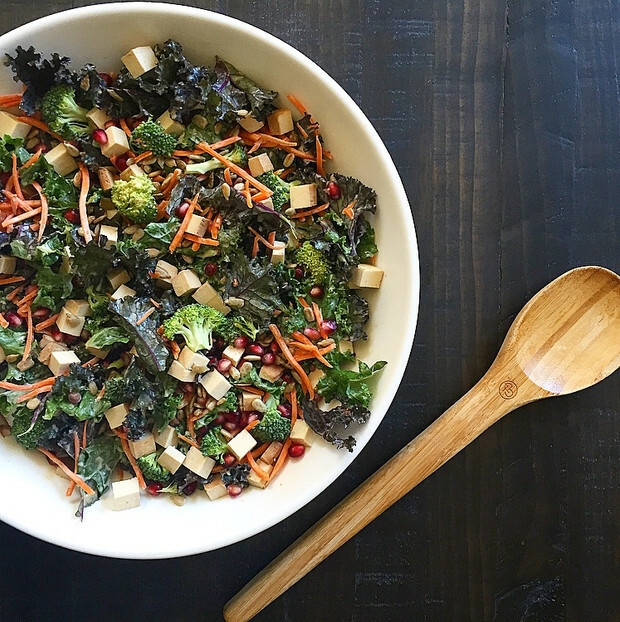 This is a great salad to make ahead of time because the kale only gets better and better as it sits in the sauce. I love to use any kind of Asian dressing because it will most likely have a rich sesame or miso flavor & some sweetness which balances great with the sometimes bitter leafy greens. 3. Throw in your bite sized broccoli florets and match stick carrots and toss. 4. Chop your baked tofu and throw in. 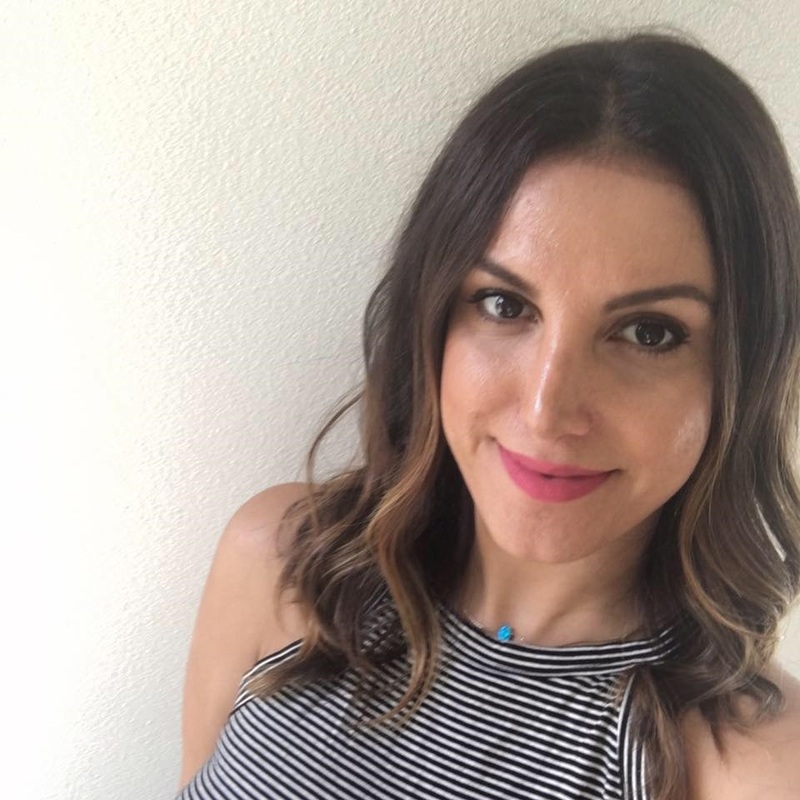 I LOVE the Trader Joes baked tofu because they have tons of flavor and I can enjoy them cold so there is no cook time involved. They’re also surprisingly very low calorie and high in protein so you can’t go wrong. 5. Last, sprinkle on your pomegranate seeds and sunflower seeds whenever you’re ready to serve. That’s all folks. Second best is still a best! Enjoy it veganly much!